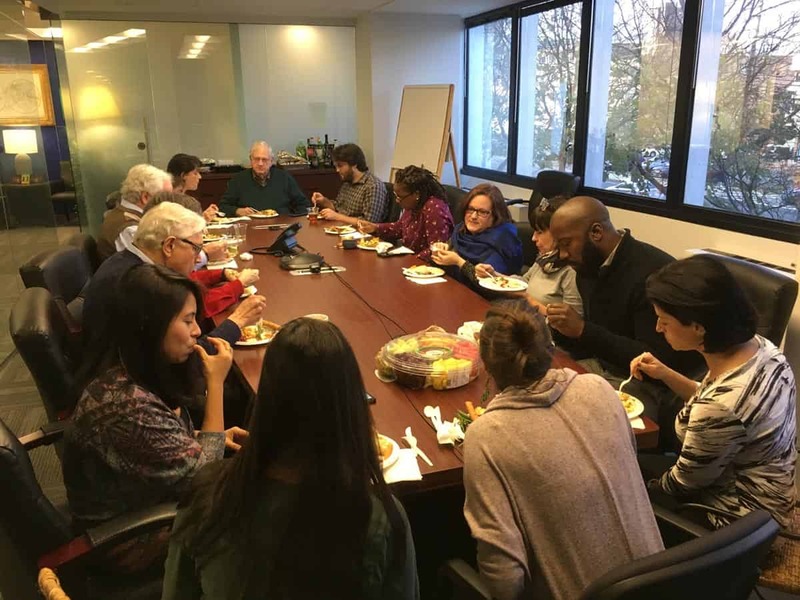 ME&A headquarters staff enjoyed a pre-Thanksgiving international potluck luncheon on Monday, Nov. 19, 2018, at corporate offices in Bethesda, Md. 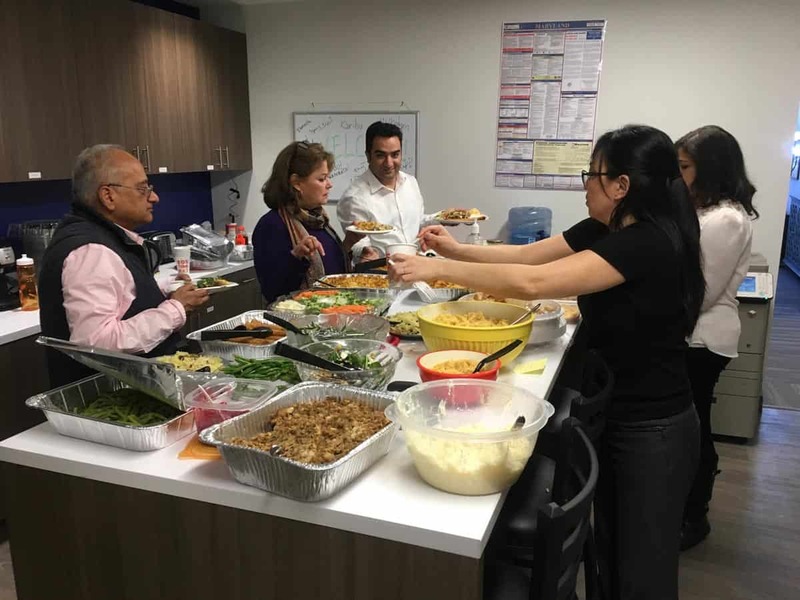 The festive spread included holiday dishes from around the world along with traditional American Thanksgiving fare. 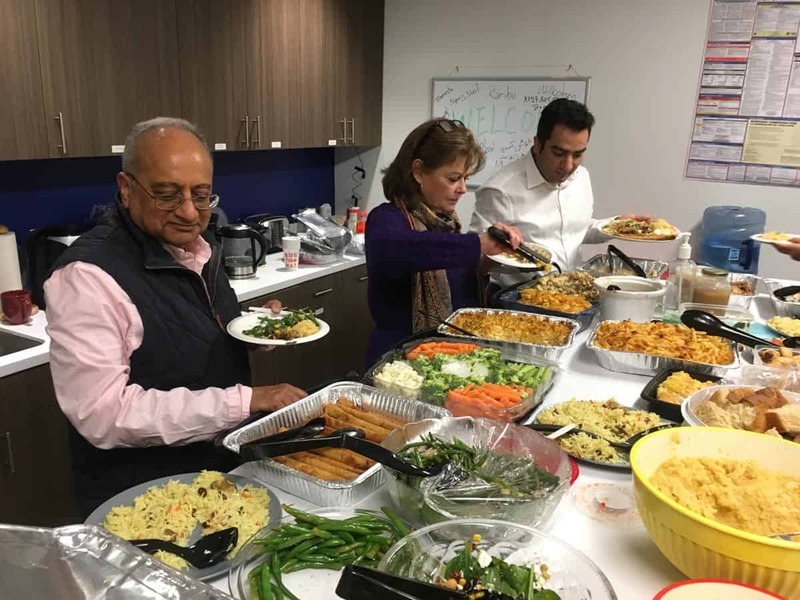 International potlucks are a ME&A tradition to celebrate major holidays, and feature dishes from more than a dozen countries representing the cultural diversity of ME&A’s employees.